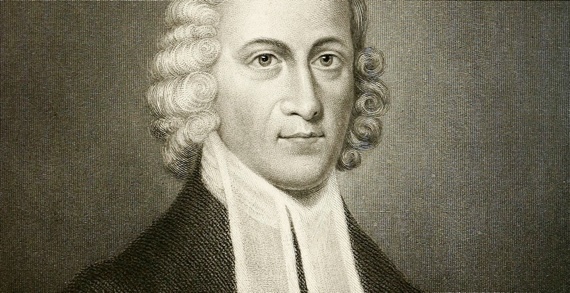 On September 28, 1752, Jonathan Edwards was invited to preach a sermon before the Presbyterian Synod of New York. His son-in-law, Aaron Burr (who had recently married his daughter Esther) was the president of the College of New Jersey and undoubtedly had an influence in the invitation that Edwards received. James 2:19 is the text that Edwards utilizes – You believe that God is one; you do that well. Even the demons believe – and shudder! Nothing in the mind of man, that is of the same nature with what the devils experience, or are the subjects of, is any sure sign of saving grace. Edwards essentially argues this: there is no sign of grace in demons. Three propositions drive the doctrine which he presents. The devils have no degree of holiness: and therefore, those things, which are nothing beyond what they are the subjects of, cannot be holy experiences. The devils are not only absolutely without all true holiness, but they are not so much as the subjects of any common grace. It is unreasonable to suppose, that a person’s being in any respect as the devil is, should be a certain sign, that he is very unlike, and opposite to him; and hereafter, shall not have his part with him. Edwards includes a series of improvements or inferences which assist his hearers and instruct them in the Christian faith. First, Nothing that damned men do, or ever will experience, can be any sure sign of grace. Second, No degree of speculative knowledge of things of religion, is any certain sign of saving grace. Third, For persons merely to yield to a speculative assent to the doctrines of religion as true, is no certain evidence of a state of grace. Fourth, [Converted men] have been the subjects of very great distress and terrors of mind, through apprehensions of God’s wrath, and fears of damnation. Fifth, It may be further inferred from the doctrine, that no work of the law on men’s hearts, in conviction of guilt, and just desert of punishment, is a sure argument, that a person has been savingly converted. Sixth, It is no certain sign of grace, that persons have earnest desires and longings after salvation. Seventh, Persons who have no grace may have a great apprehension of an external glory. Edwards demonstrates in stroke after stroke how and why the devils lack saving grace. He applies his thesis to the hearts of men as noted above. Once again, the Puritan divine accurately diagnoses the human condition apart from grace. But he concludes by contrasting the graceless state of devils with the gracious state of a person who trusts Christ: “By this, above all other things, do men glorify God. By this, above all other things, do the saints shine as lights in the world, and are blessings to mankind.” It is here where Edwards draws his readers and those who would listen to this sermon – to the fountain of grace which never ends!